April is one of my favorite times of year to visit Walt Disney World. The crowds are tame, and the temperature is great. There are also some great experiences during this time. A lot of other months can be incredibly busy or too hot, so April is such a great time to visit. 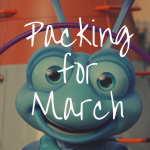 If you are looking to book a trip to the most magical place on Earth during this month, keep on reading because there is a lot of great information about how to plan the best trip possible at Disney World in April! So, when is the best time to go to Disney World in April? Weather is always a bit of an issue at Disney World because Orlando, Florida is a rainy area. No matter if you go for two days or ten days, you are bound to be caught in at least a little bit of rain. Because of this, I always recommend grabbing some cheap foldable ponchos from the grocery store and throw them in your park bag. Disney’s ponchos run pretty expensive so its nice to save the extra money on these. In April, the average high is 82 degrees. While this doesn’t seem too hot, it can get pretty uncomfortable with the Florida sun beating down on you. Just in case it gets really hot, keep in mind that all Disney quick service locations will give you a free cup of ice water! Compared to the later Spring and Summer months, April is definitely much cooler. There is often more rain during this month as well which helps to cool off the air. However, sometimes it can turn quite muggy because of this same rain. April’s average low is 58 degrees in Florida. This is fairly cool for the area, but almost only happens in the late night. My best recommendation is to be there at park opening in the mornings during your stay. Then, if it gets too hot or your party gets too exhausted, you can head back to the resort for a nap or pool break. Then, head back out at about four or five o’clock. The sun will start going down and it will be a lot less hot. This way you’ll be able to enjoy your entire day, start to finish. There are two special events happening during the month of April. First is the Epcot Flower and Garden Festival. While this doesn’t draw in as big of a crowd as other Epcot festivals, it is still a great one! There are incredible garden displays and beautiful topiaries to look at during this festival. It’s definitely worth grabbing a snack from your favorite country in the World Showcase and strolling along to see all of the amazing artwork from Disney’s Imagineers. The Star Wars Rival Run Weekend will also be happening this weekend in Hollywood Studios. There are tons of events within this weekend that runners and health nuts will deem “out of this world!” In early April, the Star Wars Rival Run 5k will take place with an awards ceremony and everything. Admission to this event will be around $85. On the 6th, there will be a 10k which will cost about $125. There will also be a Star Wars Rival Run Challenge on this day for around $335. Then, there will be some runDisney Kids Races for $20 to $30. Then, there will be a Star Wars Rival Run Half Marathon for about $200. There will also be a Rival Run Challenge scheduled this day. There will also be a runDisney Kessel Run Challenge where admission will be about between $250 and $450. There will also be a ChEAR Squad Package available for about $65. Throughout the entirety of the event, the runDisney Health & Fitness Expo will also be taking place. 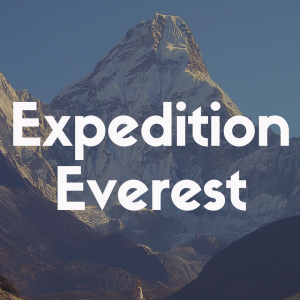 There is no extra admission for the expo, and it should be a fun and informative time! Keep in mind, that all Disney event pricing is subject to change, so check the website for the most updated information! The first week of April is not the best week in April to visit. A lot of schools and universities have Spring Break the first week of April, so it is not necessarily the best time to go. While most parks won’t be incredibly busy, Animal Kingdom is supposed to be very busy on the weekend. I would suggest planning your time at Animal Kingdom early at park opening if possible. This way you can enjoy smaller crowds before the park gets super busy. The best days for Magic Kingdom will be Tuesday and Thursday this week. Hollywood Studios is expected to be mild this week, however if you are planning to spend a lot of time at Toy Story Land, expect that area of the park to be crowded. Book your FastPasses 60 days in advance and arrive at the park before opening time in order to enjoy Andy’s backyard and the rides in this section of the park! Epcot’s best days to visit will be Sunday, Friday and Saturday this week. The Flower and Garden Festival is also expected to draw some crowds, but it shouldn’t be too bad! This week expect crowds to die down a little bit. As many people return from Spring Break, the crowds tend to reduce in size. Magic Kingdom will be really busy on Sunday and Wednesday, so be mindful of that when planning your trip. Visiting the park during Magic Hours or early in the morning is your best bet for short waits on attractions and smaller crowds. Then, Epcot is expected to be really busy on Tuesday and Thursday. So again, you will want to plan your time at the park mindfully. On Friday, Hollywood Studios is expected to be busy. Then, Animal Kingdom will be busy on Monday and Friday. The second week of April is probably the best week to visit because the crowds are the lowest. 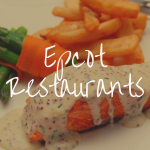 You can also see the Epcot Food and Wine Festival. On that Sunday (4/7/2019) you can enjoy the Star Wars Rival Run Weekend as well! Because Easter falls on a weekend this year, the crowds really begin to spike. Monday and Tuesday won’t be as bad, but the rest of the week is going to be really busy. As Easter approaches, crowds really begin to come in surging the crowds to peak levels. I wouldn’t advise using the week before or after Easter for a Disney vacation, but if you have to, it is completely manageable. Make sure to visit the parks upon opening and late at night. These times will have the least amount of people. Ensure you book your FastPasses 60 days in advance if you are staying on property and 30 days in advance if you are staying off property. Also be sure to book your reservations 180 days in advance of your arrival. 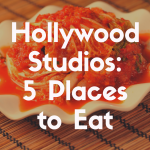 This will help ensure your party can eat at their favorite restaurants and ride their favorite rides despite the crowd levels! The last week of April is expected to be very busy. The week after Easter is always a peak crowd week for Walt Disney World. As I mentioned above, be sure to reserve your FastPasses and make reservations well in advance of your trip if you are planning to visit during the month of April. There are also prime days to be at each park during this week, so be sure to check any Disney World crowd calendars when planning your trip. This will help guide you to the least crowded parks on any specific day. This has made my Disney vacation planning so much easier over the years! There are a lot of amazing rides at Disney World, and a lot of them have incredibly long wait times. 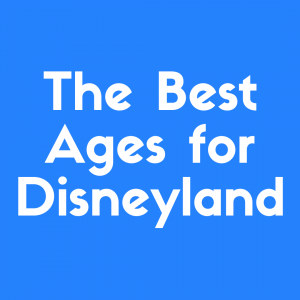 To help you book the best FastPasses, I’ve made a list of the rides with the longest wait times (on average) in each park. If you are planning on meeting characters, it might be worth booking a FastPass or two for those as well. 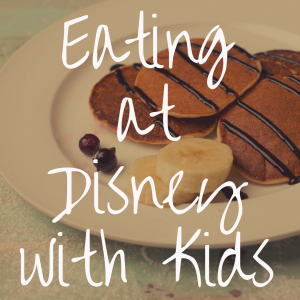 However, my best recommendation is to book character dining experiences where your favorite characters will be. This saves a use of a FastPass and allows you and your crew to meet more than one character in a short period of time! Shows are also important for many Disney guests. However, you will almost never need a FastPass to get into a show. Shows are often easy to get into since they have huge sections for audience members. Be sure to get to the stage 10 to 15 minutes before showtime to ensure you can get a great seat where both you and any little ones can easily see what is happening! Shows typically run about six times a day, so if you miss one, do not panic! Just plan to see the same show a little later in the day. I love to grab a little snack like a popcorn or Mickey’s Premium Ice Cream Bar to enjoy during the show. If you plan on visiting Disney World during the month of April, make sure to plan wisely. The second week of April is definitely the best time to be there, so keep that in mind when planning the length and specific days of your trip. 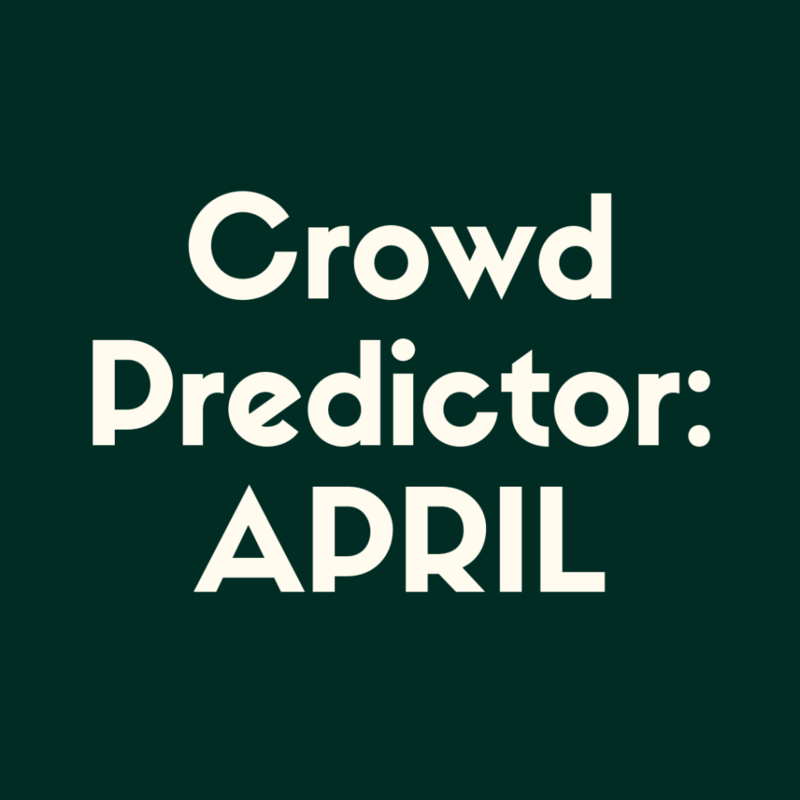 Click here for a full calendar of expected crowd sizes in every park on every day of April 2019. If you are planning to visit a park on a busy day, you can still have tons of fun if you plan with a little more attention to detail. Ensure you book FastPasses for your favorite rides as soon as possible. I always check the wait times on the MyDisneyExperience app before booking my FastPasses to ensure I never book a FastPass for something that averages a 10-20 minute wait time. If you are staying in a Disney resort hotel, you are able to book your FastPasses at six o’clock in the morning, 60 days before your arrival. If you are not staying on property, you can book your FastPasses 30 days in advance of your arrival. Be sure to keep this in mind when planning your vacation. While an off property hotel might be cheaper, you may miss out on booking your favorite rides! Also, try and book your FastPasses as close together in the morning as possible. After you use three FastPasses, you are allowed to book more, so use them up in the morning then book them on the MyDisneyExperience app as you go for the rest of the day! Also, be sure to make your reservations 180 days in advance of your trip. The most popular restaurants will fill up quickly, so it is crucial to make those reservations. This can be done from the MyDisneyExperience app as well. If you happen to miss your window and the restaurant is all booked, don’t worry! Often times, you can book a reservation for a filled up restaurant the day before or day of your visit. Continue to check the app for updates and snag a spot as soon as it opens up! April is a fantastic time to visit Disney world, and I would highly recommend it thanks to the cooler air and lower crowds, especially during the second week. You and your family will have a magical time making the most of your time at the happiest place on Earth!